Heat oven to 375°F. Spray 8-inch square (2-quart) glass baking dish with cooking spray. 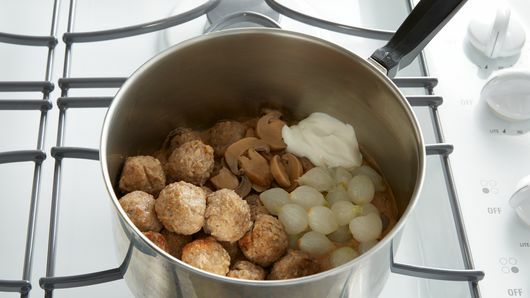 In medium microwavable bowl, microwave meatballs on Medium 2 to 4 minutes or until thawed. 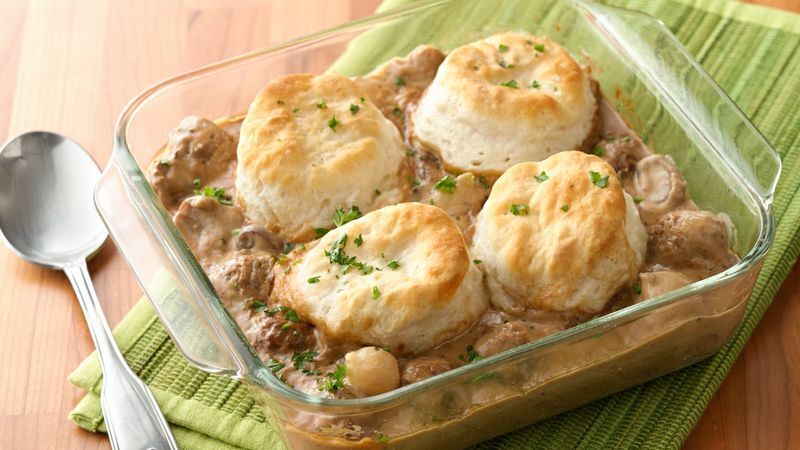 In 8-inch saucepan, mix thawed meatballs and remaining ingredients except biscuits and parsley. Cook over medium-high heat 5 to 8 minutes, stirring frequently, until mixture is bubbly and thoroughly heated. Pour mixture into baking dish. 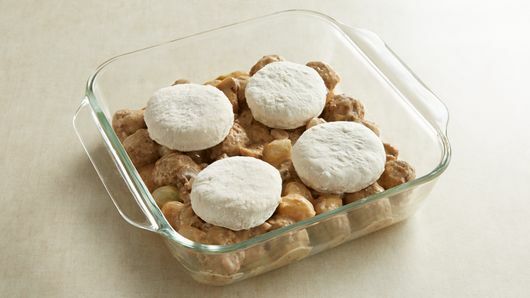 Arrange frozen biscuits over top. Bake 25 to 30 minutes or until biscuits are deep golden brown and filling is bubbly. Sprinkle individual servings with parsley. Dough-topped casseroles must be assembled while the filling is piping hot. This ensures even cooking from underneath as well as on the surface. Otherwise, the topping will bake at the surface but remain doughy next to the filling.